After one minute, stir the grounds and place plunger on top. I recommend starting at a 15:1 water to coffee ratio and adjusting over time as you see fit. 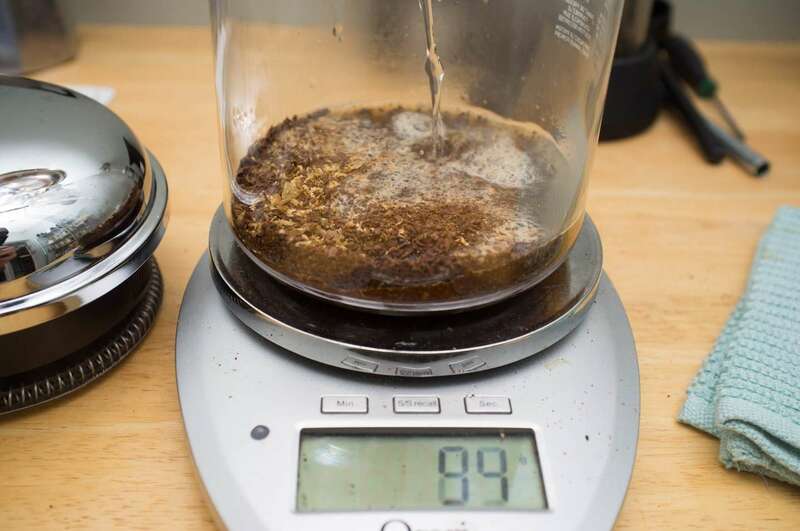 This means for 55g of coffee, you'll use 825g of water. 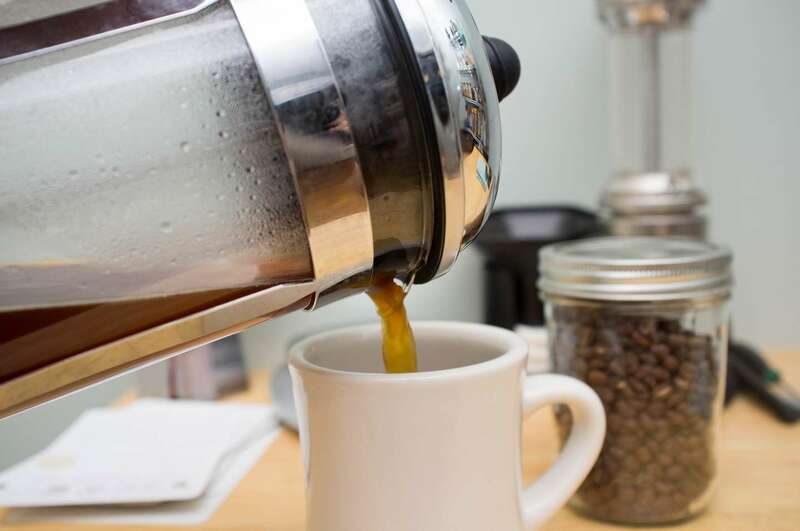 A standard cup of coffee is around 355ml and we all remember from chemistry that 1ml of water weighs 1g so you can do the math based on the size of your french press and how much coffee you need. If this is too complicated for you, then just experiment and adjust for taste but make sure you remember what you did last time so you can tweak it! Its easiest to do the whole process on a scale to keep track of precise measurements. 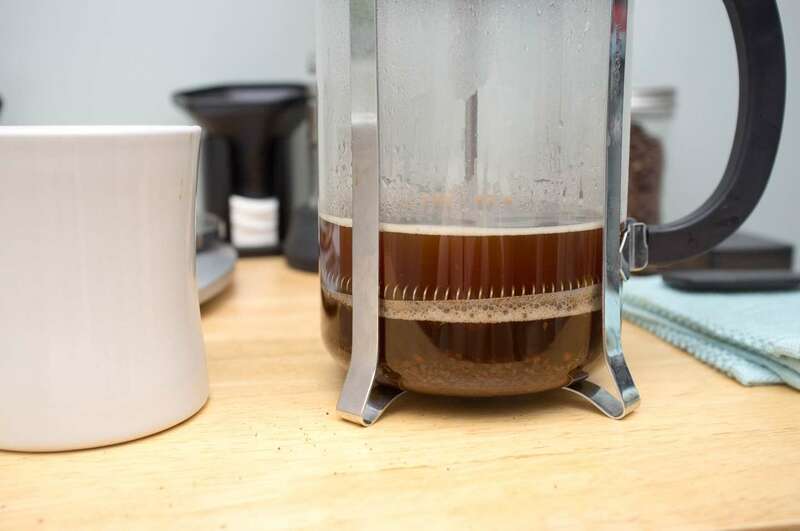 Coffee that comes pre-ground is not the ideal grind size and its not fresh anyways so I highly recommend buying whole bean coffee and grinding right before you brew. 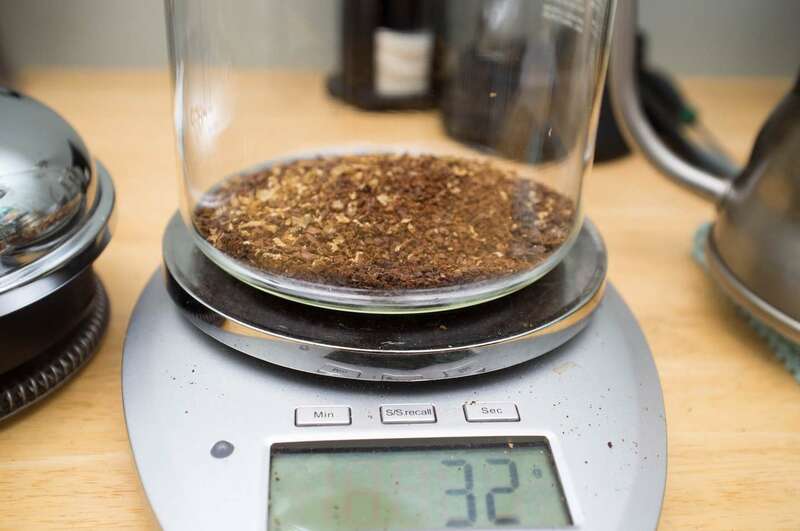 Check the image for the ideal grind size. This brings the water down to an ideal 200 degrees. 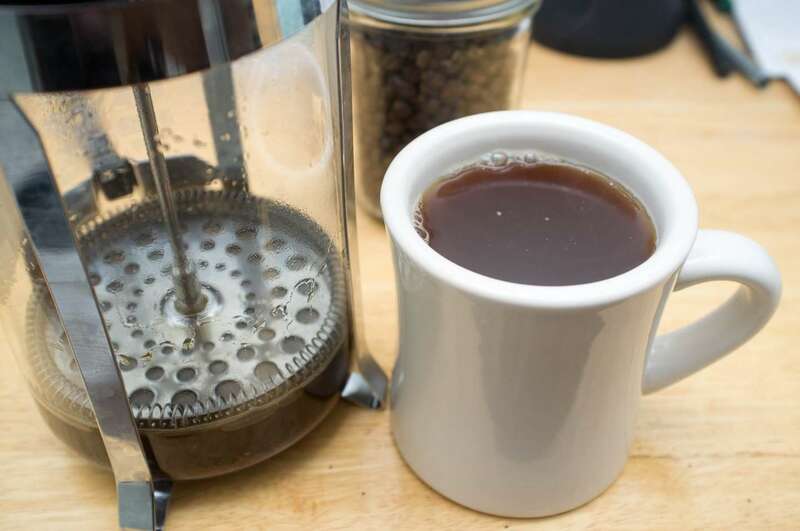 If you pour the water right off the burner, you risk scorching some of the coffee. When you're finished, start a 4 minute timer. Push the plunger down a tiny bit to submerge the grounds on top. 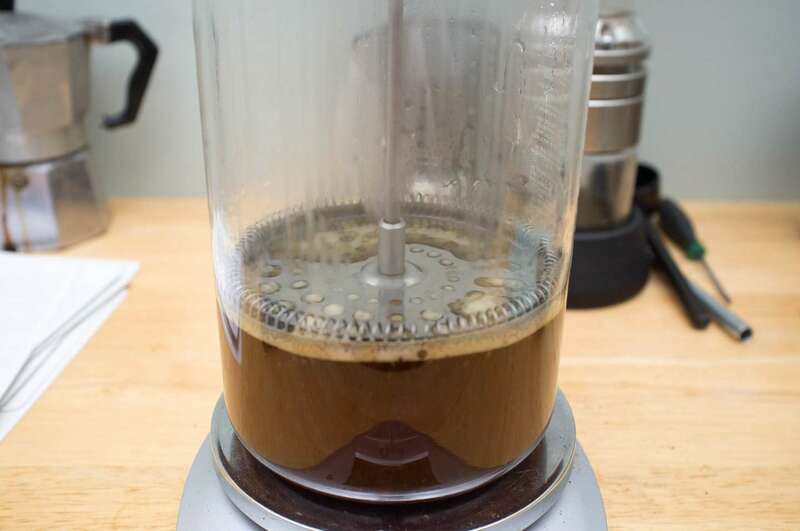 I highly recommend decanting all of the coffee immediately instead of leaving it in the press and coming back later. 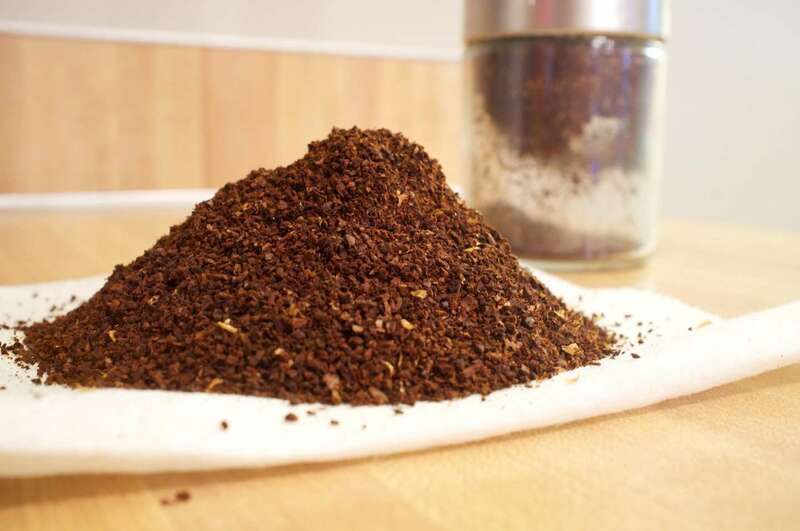 The coffee in the press is still extracting so you want to remove it from the grounds as soon as possible.